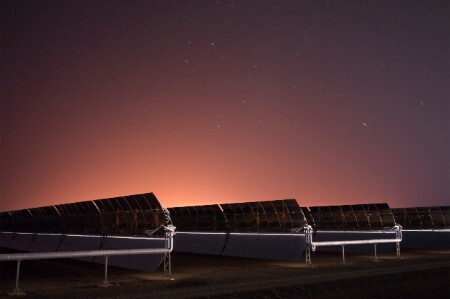 We worked with the Moroccan Government in its efforts to build an innovative solar plant that will work far into the night. Can sustainable energy drive sustainable growth? Facing a reliance on expensive, imported fossil fuels, the Moroccan Government was searching for a way to turn renewable energy into reliable energy, to help them become energy self-sufficient. 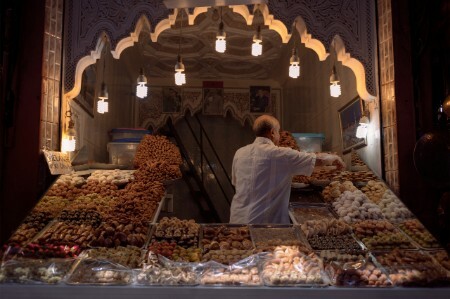 Think of bustling souks and bazaars with hawkers shouting their wares, tables piled high with silks and spices, and rich smells of cooking wafting through the hot, arid air. As we visualize the country Morocco, all these clichés may spring to mind — a reflection of the highly successful Government-backed campaign to turn this North African country into a tourist destination. Today, Morocco is the most visited country in Africa. But, tourism still only makes up one-fifth of the Moroccan economy. To create sustainable, inclusive growth for its 35 million people, the Moroccan Government recognizes that it needs more than tourism. Currently, around 45% of the working population are still employed in agriculture, despite this only driving around 12% of GDP. Manufacturing, mining and textile production are all growth areas in Morocco, with huge potential. But, with energy making up between 3% and 30% of manufacturing costs, depending on the industry, access to affordable and reliable energy has been a significant factor in industrial investment decisions in developing economies, such as Morocco’s, for years. To compound this, Morocco is heavily dependent on fossil fuel imports. Its economy is hostage to fluctuations in energy prices and the volatility of these costs have been limiting its potential for growth. The question the Moroccan Government began to ask, inspired by the ecologically minded king himself, was: could sustainable energy be a way to lay the foundations for sustainable economic growth? With renewable energy long seen as expensive, unreliable and intermittent (wind turbines are unable to generate power on a calm day, solar panels are useless at night, etc. ), and most renewable energy tech requiring huge amounts of investment – until very recently, the answer would simply have been “no.” No emerging market has developed using renewable energy so far – but that could be about to change. Use a financing and commercial structure that manages risk between public and private sectors to build an innovative solar plant that generates electricity after the sun sets. To keep the Moroccan economy growing, it is vital to keep Moroccan people in the country to ensure a good supply of talent and labor. To do that today, emerging markets increasingly need good infrastructure to provide a good standard of living and an underlying foundation of economic opportunity. Today — with the rise of web connectivity and the cheaper costs of living compared with more developed nearby countries — living and working in Morocco is becoming more attractive than ever. Over the last few decades, economic uncertainty and lack of career opportunities led many Moroccans to seek work abroad, like Cherkaoui Zahra, who now runs the traditional Riad Dar Nawfal guest house in Salé. “I moved to France to look for work in the early 1970s, starting as a chambermaid before rising up to manage a five-star hotel in Paris,” she says. When she opened her riad in 2008, there were only three in Salé, a city over the river from the capital, Rabat. First, Zahra went the traditional route, getting the word out about her new business via friends, family and the local community. But, that only got her so far. Funding from the French Government, via the Institute français, helped her reach a wider audience. But, it was the internet that really saw things kick off, with travel apps and review sites helping guests from all over the world find her riad, despite being tucked away down an alleyway, which was previously impossible to find without a guide who would meet guests at the gates of the medina. Inspired by her success, there are now 12 riads in Salé, attracting more visitors and boosting the local economy. "These new technologies have really helped in our success, which is helping other local businesses who are our suppliers, which is helping keep local families and communities together," says Zahra. “Why would a young Moroccan move to France for work today, like I did when I was young, when the economy is growing and the cost of living is lower here?” Zahra asks. Where once the foundations for growing a business were the help of friends and family connections, and perhaps government support, today access to the internet is vital to success. And for that, you need access to reliable, affordable electricity. This is something the Moroccan Government has recognized — but while Morocco wants economic growth, it is not willing to pursue growth at any cost. Economy and environment. Not or. This became clear in the run-up to and following the country hosting the 22nd Conference of the Parties (COP22) climate summit in 2016. Among the traditional tourist sites — and far beyond — something began to change. The modern world is coming to Morocco and turning the country into a beacon of sustainable energy use. As a publicly owned company, Masen was charged with finding ways to increase Morocco’s renewable energy-generating capacity to accompany the country’s economic growth in a way that would minimize harm to the environment. With the core challenge identified as the need to reduce dependence on fossil fuel imports while boosting the economy, Morocco is investing heavily in both renewable energy and telecoms — the two working hand in hand to drive economic growth. How can renewable be reliable? The only question was how to turn this dream into reality at scale. After all, renewable energy may be clean — but when the wind stops blowing, wind turbines stop turning; and when the sun sets, solar panels stop generating. How could renewable energy give Morocco the reliable energy it needed to fuel its economic growth? 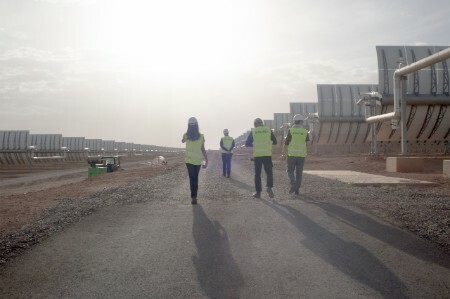 This shared sense of enthusiasm and a desire to build a better working world through finding ways to deliver reliable renewable energy in a way that would boost economic growth was quickly recognized by Masen, which has subsequently engaged us on a follow-up project in Midelt in central Morocco. 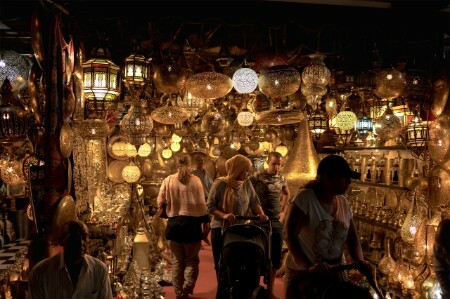 Wander the souk in Marrakech and every lantern is now lit up by energy-saving lightbulbs. Benches have solar panels and mobile phone-charging points. 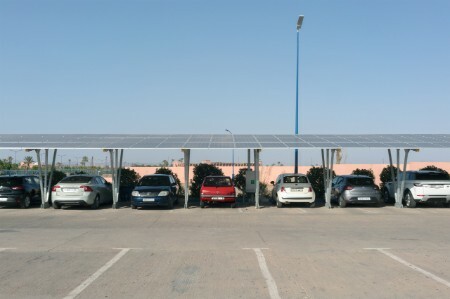 Car parks use solar cells to provide both shade and power. 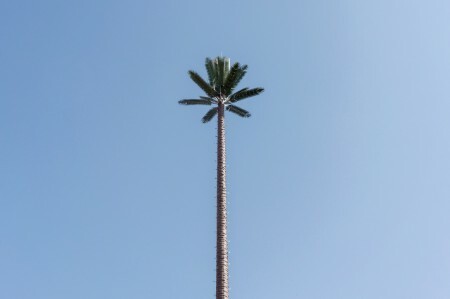 Look closely, and some of the tall palm trees that punctuate the skylines of cities across Morocco are actually cunningly disguised cell phone masts. solar is being used to reduce the cost of energy for small businesses. 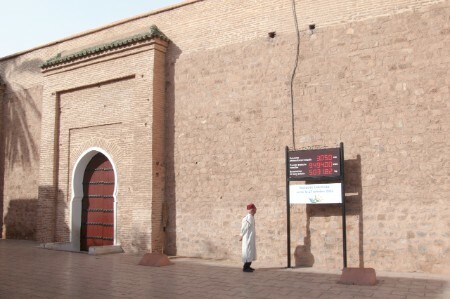 Even the 850-year-old Koutoubia Mosque in Marrakech is now powered by well-concealed solar cells on its roof. A five-hour, 200km drive from Marrakech, along the winding roads of the Atlas Mountains, lies one part of the answer to this quest for sustainable development. First, Morocco’s sunny climate helped its tourist sector boom, then the quality of the light attracted filmmakers to Ouarzazate. Now, that same sunshine could be about to provide the foundation for lasting economic success. Solar may seem like an obvious solution for a sunny country in pursuit of electricity, but it’s not that simple, says Tarik Bourquouquou, Planning and Methods Manager, Power Plants & Infrastructure, Masen. After all, when the sun goes down, solar generation stops. 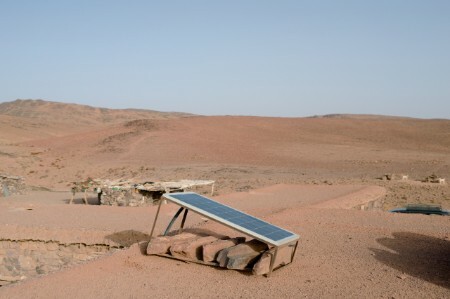 A desire to truly lead the way in sustainable energy led to extensive surveying and analysis all over Morocco, followed by ground-level studies, including meteorological, hydrological, seismic and topographic measurements. These were all fed into specialized software to help identify both the best sites and the most appropriate technology. 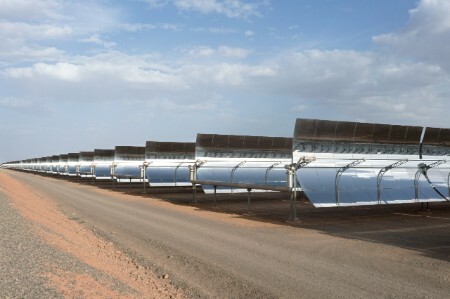 Bourquouquou explained that this led Masen to focus on the relatively less widespread concentrated solar power (CSP) over the more familiar photovoltaic solar (PV). These tests also identified a site, a 20-minute drive outside the Moroccan film capital of Ouarzazate, as the location for the new plant. It had the perfect combination of location, infrastructure and resources — including easy connections to the national grid and a nearby reservoir to provide water, created by a Masen hydroelectric project back in the 1980s. Where PV has come down a lot in price in recent years, to store its energy still requires expensive batteries. 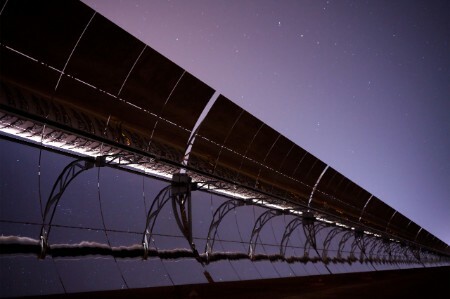 CSP, meanwhile, uses mirrors to focus and capture the sun’s heat, allowing energy to be stored for use several hours after sunset, thereby driving steam turbines like a traditional fossil fuel power station. “Photovoltaic usually uses the sun’s photons. When they come in contact with the photovoltaic panel, it produces an electric current.” says Tarik Bourquouquou, Planning & Methods Manager, Masen. Building renewable energy capacity that could supply energy needs after dark would both help lower Morocco’s energy costs and dependency on fuel imports. This alone would increase the ability of businesses like Cherkaoui Zahra’s to grow by reducing costs, but this wasn’t ambitious enough for the project triumvirate – Masen, Morocco and our team of experienced professionals. 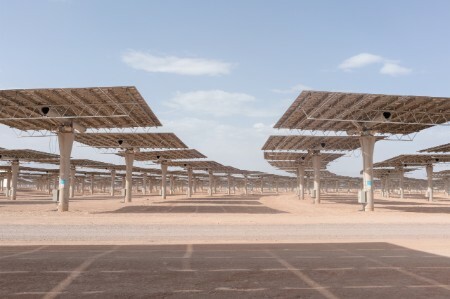 “The Moroccan Government views the renewable energy program as a key way to build business, manufacturing and engineering skills, and capacity within the country,” Auton-Smith explains. 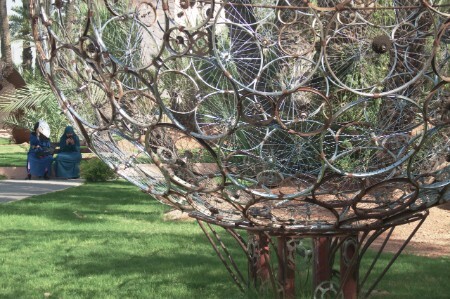 As such, although much of the expertise for such a complex project came from overseas specialists, detailed analysis by our Paris-based cleantech and sustainability team found that at least 35% of the equipment and labor could be manufactured and sourced from within Morocco, which soon became an official target — one that was eventually exceeded by some 5%. “You have a lot of small companies producing parts with the standards and the quantity we need,” says Bourquouquou. “They have had to invest in their production lines, in their quality, standards and procedures to be able to work with these projects. "This is a win-win because even before this project is finished, our Moroccan suppliers have improved their capability to develop and market their products and expertise across Morocco and worldwide." To develop the foundations for economic growth is often hugely expensive, requiring an investment far beyond the means of developing world governments. Workers may lack the required skills, and the countries themselves often lack the physical infrastructure. As a result, private investors often see little potential of return on investment (ROI) on infrastructure projects in poorer countries, where the risks seem so high. 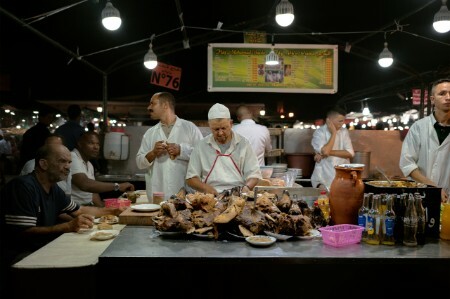 Even for simple projects — like a restaurant — accessing affordable finance has long been a challenge in Morocco, as Kathy Kriger found when she was setting up Rick’s Café in Casablanca. Inspired by the classic Humphrey Bogart film and designed to attract tourism to the city, even with the connections she had built up as commercial attaché for the US embassy, she still struggled to raise funds at affordable rates. 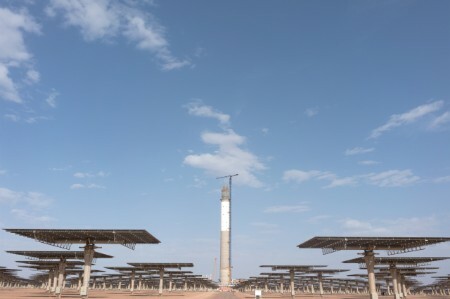 The solar power plant project, Noor Ouarzazate, revolves around highly specialized technology, which few organizations have experience with — far more complex than a restaurant launch. It’s located in a remote part of the country, with delicate parts needing to be brought in for assembly along rural roads from as far afield as the US, China and Saudi Arabia. All this means the risks could have seemed far too great to get the project off the ground financially. “The ability of the plant to generate electricity at the level forecast is fundamental to its ability to repay its debt, reward its shareholders and remain financially viable,” says Auton-Smith. “Therefore, a very significant part of our work was in evaluating what those risks were and how they could be effectively managed. 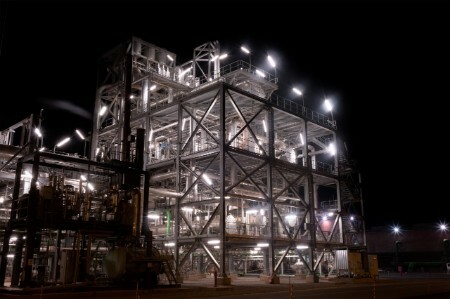 The approach was both innovative and effective, making the most of the ability of Government to borrow at low interest rates to help reduce capital uncertainty for private contractors, while protecting both buyers and sellers from unexpected price fluctuations of the end product: the energy the plant would produce. This financing approach helped protect both the Moroccan Government from the risk of the project not delivering and gave the private contractors access to finance at a much lower interest rate than they could achieve if operating independently. This reduced the overall cost of the project, lowering the risk and reassuring all parties. It could serve as a model for future large-scale infrastructure projects in other emerging markets. 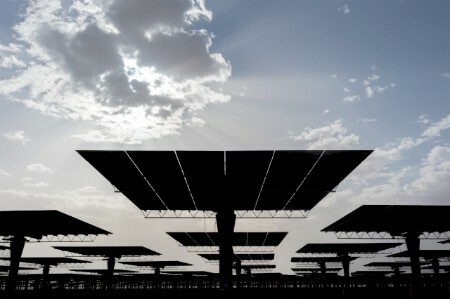 The Noor Ouarzazate solar plant will reduce Moroccan energy imports, boost the economy and prove the viability of this green technology to investors around the world. 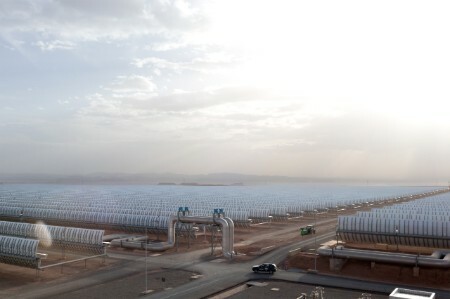 While Noor Ouarzazate II and Noor Ouarzazate III – the two biggest plants at the Noor Ouarzazate site – have yet to come online and start supplying energy to the Moroccan national electricity grid, their potential impact can be seen by looking around the country. Ten years ago, regular PV solar cells would have been too expensive for many ordinary people in Morocco to afford. But, due to investment in the technology around the world, the cost has fallen dramatically in recent years. 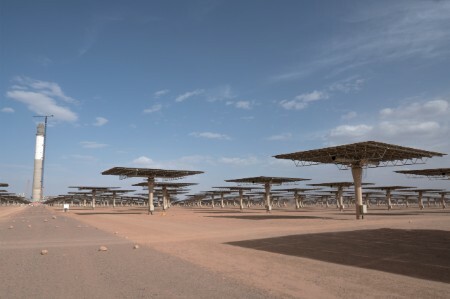 The hope is that Noor Ouarzazate will prove the potential of CSP, leading to more investment and thus future falls in cost. Expanding the reliability, availability and affordability of energy supplies in Morocco is fundamental to the country’s future economic growth. With many families still living in poverty — and a large population under the age of 30 looking for employment — laying the foundations of modern infrastructure is key. Here, electricity and internet connectivity are vital tools to enable options for overcoming other infrastructure challenges for communities in the most remote parts of the developing world. A decade ago, PV solar cells were too expensive for a family like the Aït Mrims to afford. Thanks to rising investment in the technology, costs have come down, and photovoltaic solar has become both more cost-effective than coal and more affordable. This is already helping drive down energy costs for everyone from the main mosque in Marrakech to telecoms companies, as well as giving access to electricity in some of the most remote communities on earth. “There's a continuous issue in major infrastructure projects about how much risk you can transfer, what is the price of that risk transfer, how real is it?” says Auton-Smith. For innovative infrastructure projects like Noor Ouarzazate, overcoming aversion to those risks is a significant challenge. "The price of renewables used to be higher than conventional sources of energy, so one of the biggest challenges for Noor Ouarzazate is to get this price down so we can fight climate change," says Benchekroun. 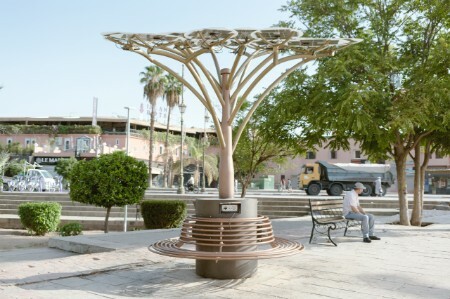 Noor Ouarzazate is designed to prove that CSP plants can really work, and that heat-based solar can deliver reliable renewable energy even when the sun’s not shining. It’s intended to reduce energy costs to give an emerging economy a stronger foundation from which to grow. But, it’s also about using a major construction and engineering project to develop local skills at the same time as improving infrastructure — and sharing that knowledge with others from around the world who want to embark on similar projects in future. All of this is why so many multilateral lenders wanted to be involved, and why so many organizations from around the world are taking such a great interest in Noor Ouarzazate’s success — something Masen and EY are keen to encourage. Today, this technology may be expensive, but — thanks to projects like Noor Ouarzazate — in 10 years’ time, the world may be seeing a lot more of this kind of solar plant, reducing carbon emissions, boosting economies, helping communities and families, and driving inclusive growth. 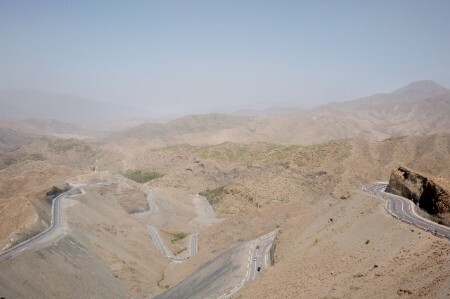 Without collaboration, vision and partnerships — the vision of a king, the finances of multilateral lenders, the security of public oversight by Masen, and the delivery of a combination of foreign and domestic private contractors, aided by the services provided by our experienced team of consultants and risk managers — the project, which is due to start producing electricity in the summer of 2018, might never have got off the ground. “The sheer diversity of our people involved and its global nature make this a shining example of the services EY provides to our clients,” says Auton-Smith. It is exactly this kind of new thinking and collaboration in pursuit of a common goal between public and private sectors that we need if we are to build a better working world.